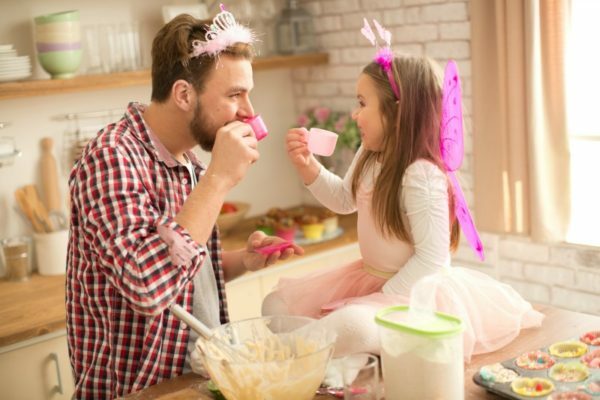 Playing with your children is wonderful for them and you, but independent play is also very important for their development – and honestly, how else is the dinner going to get cooked? Instead of always resorting to the TV or iPad, here are some handy tips to help your toddler play happily without you always being hands on. If your baby has never been left to play by himself, then he will probably find it very difficult to do when he reaches toddlerhood. This doesn’t mean you should never play with him, but just ensure you aren’t always his source of entertainment. Leave him to his own devices from time to time in a safe place with something to look at or play with, where you can see him and easily reach him if need be. This can be as simple as placing him in a bouncer on a rug near the kitchen with a toy or book while you do some chores around him. Don’t expect your toddler to suddenly start playing for hours on end by himself. Learning independent play can take some time to get used to, and a gentle and gradual approach can often be the way forward. One way to achieve this is to sit alongside your child while they are playing, but not proactively engage in the activity. After a while simply walk away for a few moments and then come back (before they have a meltdown), each time removing yourself for longer periods of time. Gradually he will realise he doesn’t always need you to be there at his side, but still be comforted knowing you aren’t far away. The television, iPad and fancy games with flashing lights, music and buttons are all great – in moderation. But if this is all your kids have ever known, then they’re not really being given the opportunity to use their minds to be creative and entertain themselves. 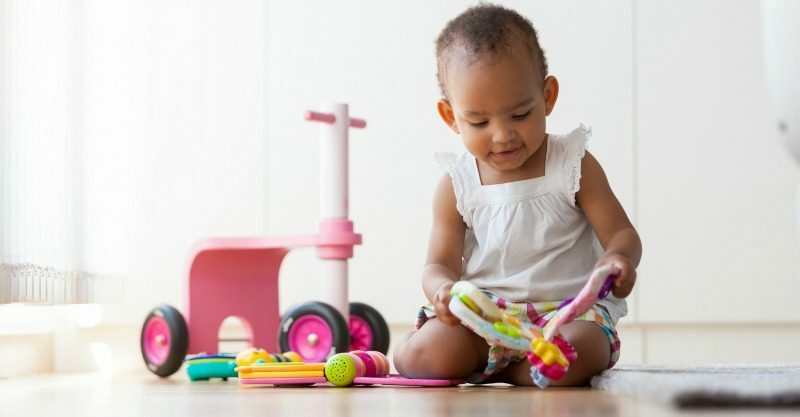 Try opting for more traditional toys like wooden blocks, playdough, books, balls and dress ups; and don’t forget about everyday items they can play with that aren’t toys – like pots and pans, sticks and mud, or laundry baskets and pegs. When children play it’s very serious to them, it’s their work after all, so it’s important to let him know you appreciate and are interested in what he is doing. Make sure you take the time to engage and connect fully with him about his play, for even just a few minutes, before leaving him to it and praise him when it’s finished. Also try not to interrupt his play too much – respect what they’re doing and give them warning when it’s time to wrap up a game or activity. This way he’ll be more inclined to feel confident and proud about what he’s achieving by himself. This sounds simple enough but it’s amazing how many parents end up controlling playtime with their kids instead of letting them run with it. Allow him to be the one to build the tower or choose what dolls to bring to the tea party. By giving him the reins more often when you are playing with him, it will help him do this at other times when you aren’t glued to his side. 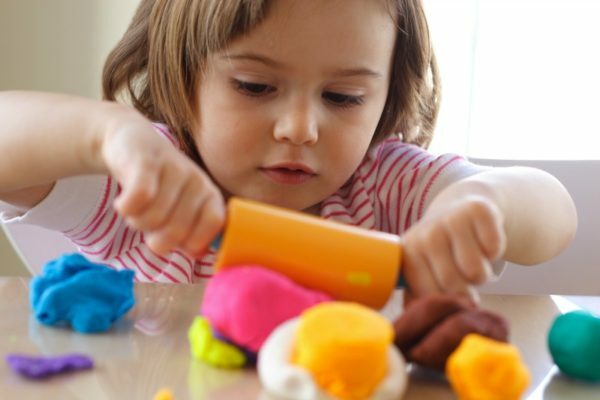 A good way to help encourage independent play is to set up various toy or activity stations that your little can play at. Often toys are in hard-to-reach places or he may not think about doing an activity unless it’s right out in front of him and ready to go, so get that playdough or puzzles out from the cupboard or set up paper and crayons at a table and gently encourage him in the right direction. If you always give in to your child and play with him, he’ll never learn to do it on his own. It might be hard to begin with, but if you get him started and then explain that you now need to do some chores or work, he will eventually start to realise that this is how it is. Just remember to be kind, keep an eye on him and give encouragement during playtime when he needs it. If you’ve got a really clingy toddler then you might need to move towards play that involves them being right next to you – but without you actually playing. This could be drawing at the table while you sit and pay the bills, or giving him a ‘chore’ to do – such as helping cook dinner (playing with pots at your feet) or helping put clothes away (putting pegs in and out of the basket). If all else fails, you could also consider getting a pet. Some children really need the close presence of someone else and if there are no other siblings around, then a pet such as a dog can be an excellent substitute – if it’s the kind of animal that will sit happily at their feet while they talk to them and play. What tips do you have for getting your toddler to play independently?